A woman in Taranaki, New Zealand went to check on her pet duck when she found a surprise next to her eggs. The duck was sitting on five newborn kittens to keep them warm. Their mother must have abandoned them, and while she’s nowhere to be found, traps have been placed in the area to try to catch her so she can be brought to a shelter for safety. The duck must have known they needed protection and comforted them until her owner came by. The orphaned kittens were taken by North Tarnaki SPCA, but they needed a mama cat to take care of them. That’s where Pepper came in. 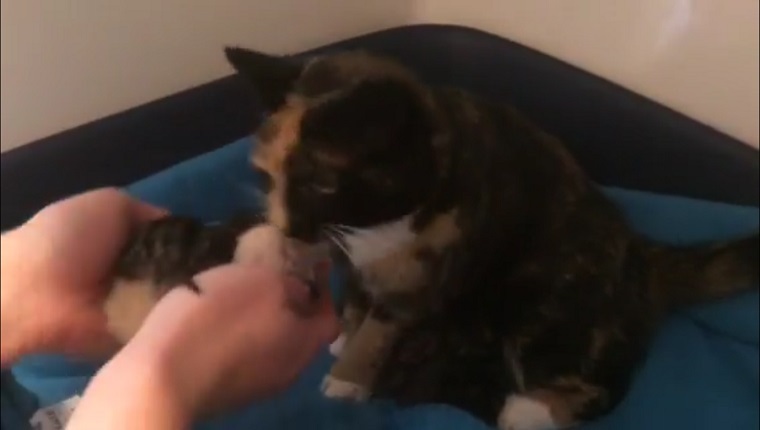 Pepper the calico cat came to the shelter as a pregnant stray and only had one kitten, which is a bit unusual. Shelter workers introduced the newborns in the hopes that Pepper would take them in. 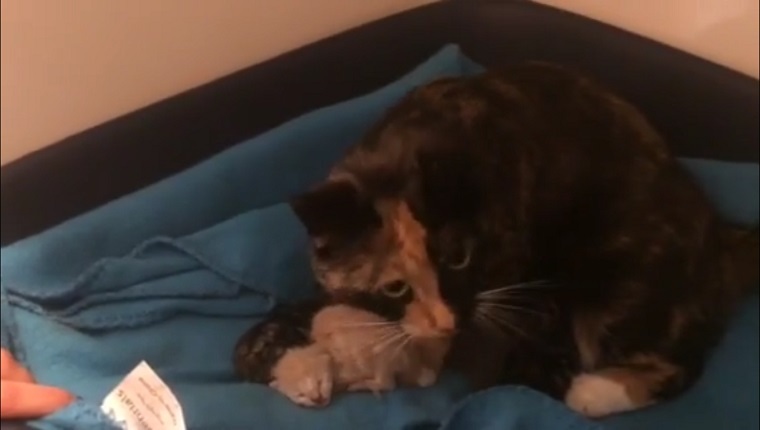 The mama cat took to the abandoned kittens immediately and started to groom and feed them. A foster family is going to care for Pepper and the kittens for two months until the babies are old enough for Pepper to look for a forever family of her own. Hopefully all these cats can find forever homes, but with kitten season on the way, the shelters need all the help they can get. Please foster or adopt if you can. What would you do if you found a duck caring for kittens? Would you help foster or adopt to save kittens from the shelter? Let us know in the comments below!